Diet brings along restriction of food that you crave the most. Almost everything that you have been eating for the longest time doesn’t count anymore to your new your diet pattern. This can become quite frustrating sometimes as diet is a lifestyle change that needs to be chased lifelong for best results and not a short-term goal. Making small changes to your diet is the healthiest and most achievable way to lose weight. The question arises how one can maintain their healthy eating patterns whilst enjoying their favorite foods without excess calories. 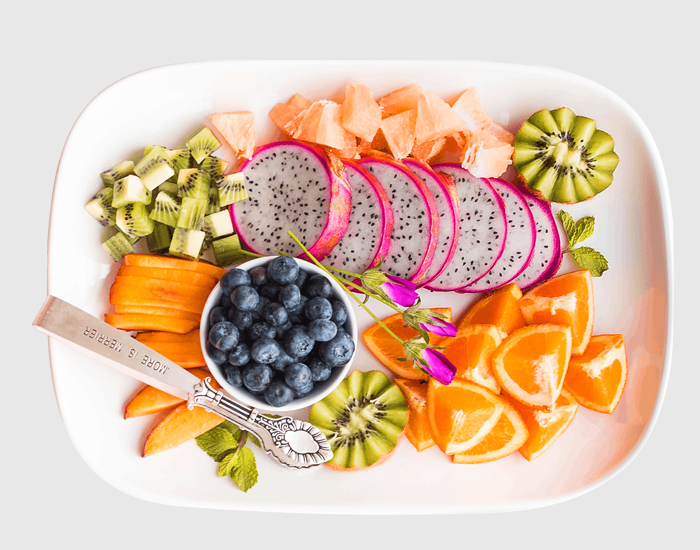 Your first step is to eat fewer foods high in calories, fat, salt and sugars and swap them with something healthier, including more fruit and vegetables. Remember, small changes add up to make a big overall difference to your diet and health. 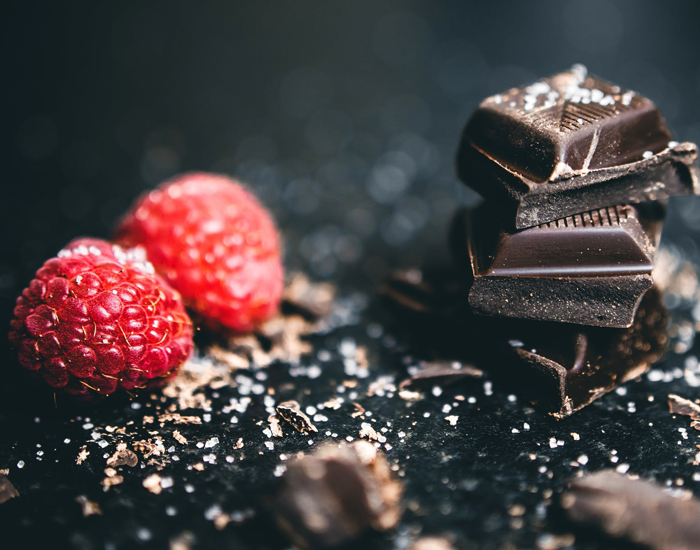 Dark chocolate, which lacks all the added fat and sugar of classic milk chocolate, can be a healthy treat in moderation. It is packed with antioxidants and even helps regulate levels of stress hormone, cortisol. Rich in magnesium, which gives another reason to swap those ordinary milk chocolates with Dark chocolate. Fruit juice isn’t the same as intact fruit. Fruit juices are absorbed very fast by the body and get converted into sugar and stored as fat. Whereas, whole fruits give you the benefit of fiber that keeps you full for longer and doesn’t get absorbed by the body so quickly. Homemade popcorns are way better than fried potato chips. 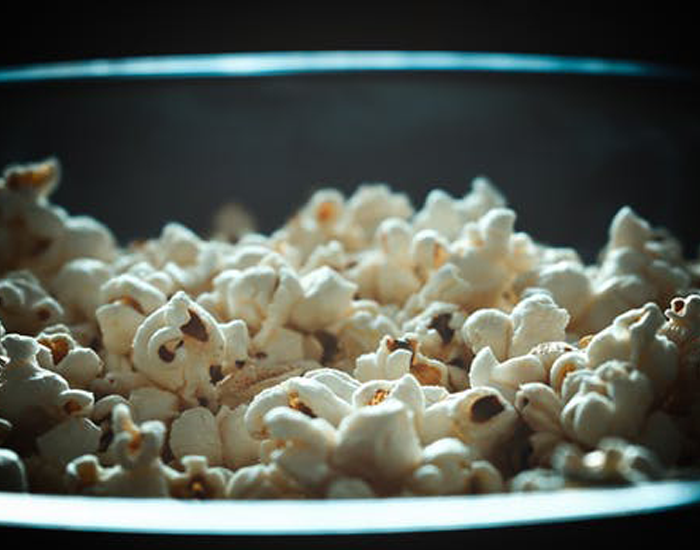 Popcorns are low in calories and high in fiber. Munch on them any time of the day and indulge in them guilt free. 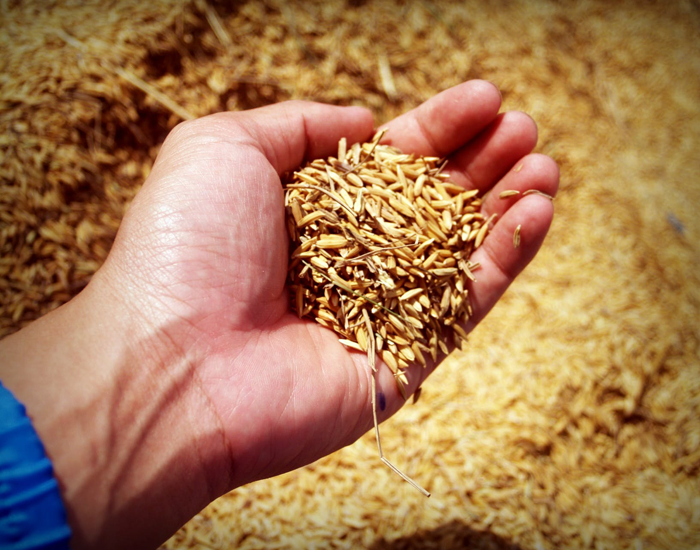 The white rice we eat is sans the husk and bran, which means it, has been processed and polished. Brown rice, on the other hand, has an array of nutrients like protein, calcium, thiamine, magnesium, potassium, fiber and selenium, unlike white rice which is healthier. While we all want to have our cake and eat it too, substituting our cravings with its healthy variant will work wonders on our body. 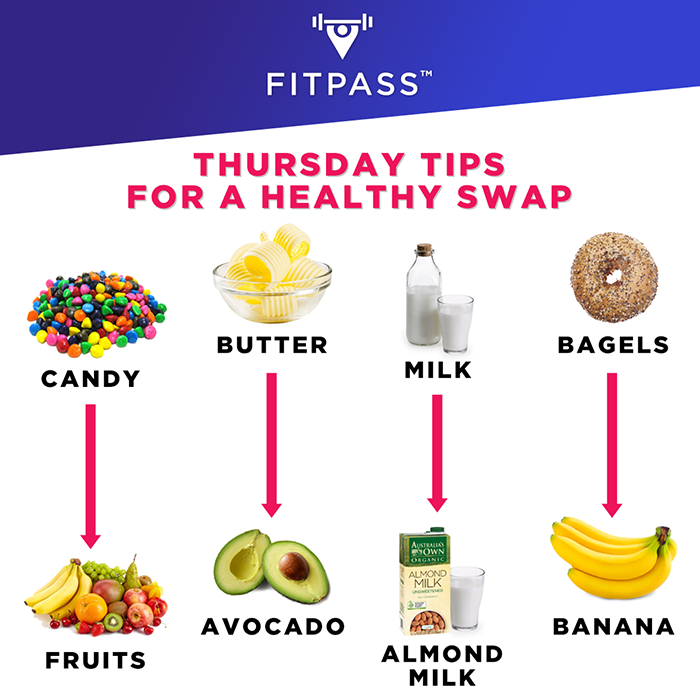 Start slow and incorporate these healthy swaps to your diet and you will soon notice the difference in your waist size and those decreasing numbers on the weighing scale. Simple substitutions will help cut your calories painlessly and will make a big difference to your overall health. Incorporate these changes and you can thank us later!